Through international organisations (UN, FAO, etc.) and regional networks of stakeholders (ECPGR), countries have been working together to improve the access to and use of plant genetic resources (PGR) since the early 1970s. The CGIAR is a global partnership that unites different organisations with the objective of improving food security, reducing poverty in developing countries, and ensuring sustainable management of natural resources. It is cosponsored by the World Bank, the Food and Agriculture Organization of the United Nations (FAO), the United Nations Development Programme (PNUD) and the International Fund for Agricultural Development (IFAD). Its research centres for cultivated species are located in diversification zones, carrying out breeding programmes that target developing countries. For this, they manage large quantities of plant genetic resources in gene banks. CGIAR initiated the development of harmonised standards for the conservation and characterisation of ex situ collections of plant genetic resources. Bioversity International was originally created in 1974 under the name “International Board for Plant Genetic Resources” (IBPGR) to coordinate an international program on plant genetic resources. Since its establishment, Bioversity International has worked to develop and improve the management of PGR collections. Numerous practical guides have been published to improve the conservation of collections through the development of standard protocols, and to harmonise the characterisation of PGR at international level. These guides are available in the e-library on their website. 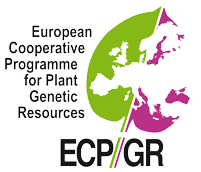 Biodiversity international has been the secretariat for the ECPGR (European Cooperative Programme for Plant Genetic Resources) since 2014. The CGRFA, established in 1983 by the FAO, is a platform entirely dedicated to matters relating to genetic resources. It aims to raise awareness among the international community about the accelerating loss of genetic resources. It is divided into four sections: animals, aquatic resources, forests and plants. In July 2014, 178 countries and the European Union were members of the CGRFA. Different guides are available on plant genetic resources, such as Guidelines for developing a national strategy and Gene bank standards for Plant Genetic Resources for Food and Agriculture (PGRFA), aiming to promote the conservation of these resources. In 1996, the CGRFA plant section produced a worldwide assessment of the status and use of plant genetic resources conservation. Following this assessment, from 1996 to 2009 a Global Plan of Action for the Conservation and Sustainable Utilization of PGRFA was adopted. An evaluation of this action plant led to a Second Report on the State of the World’s Plant Genetic Resources as well as a Second Global Plan of Action for PGRFA. This Second Global Plan of Action (GPA) addresses 18 Priority Activities organised into 4 main groups: in situ conservation and management, ex situ conservation, sustainable use, and sustainable human and institutional capacity building. France produced a first report of qualitative and contextual implementation in 2015. As a member of the CGRFA, France participates in the work of the Commission, and assists in implementing the GPA in France. The French National Coordination Structure is currently working alongside the Foundation for Research on Biodiversity to collect the necessary information to complete the GPA evaluation indicators. Set up in 2002 by Bioversity International and the FAO, the Crop Trust is an essential element of the International Treaty on Plant Genetic Resources for Food and Agriculture (ITPGRFA). Its mission is to ensure the conservation and availability of PGRFA for food security worldwide. Coordination between resources centres to ensure that all crop diversity is protected, accessible and used. The Crop Trust is a worldwide trust fund for crop diversity. It is financed by donations from various sectors including governments from developed and developing countries, foundations, private companies, farmer organisations, and individuals. France is not a member of the Crop Trust and does not contribute to the trust fund. Located in the far north of Norway, the SGSV is a maximum-security seed storage facility for the long-term conservation of PGRFA. Its purpose is to store samples from the world’s crop collections as a safeguard against extinction (loss, conflict, natural disaster…). The SGSV is not strictly speaking a genetic resources centre, as depositors are responsible for the testing and regeneration of vaulted seeds. Which resources can be deposited? They are available for distribution in accordance with national and international laws in force. The costs of packaging, transporting, and reshipping seed samples are charged to the depositor. Certain collections are eligible for financing from the Crop Trust. Storage costs are paid for by the Global Crop Diversity Trust. The European Cooperative Programme was founded in 1980 to ensure the long-term conservation of PGRFA in Europe, in accordance with quality standards. The programme currently brings together 43 members, including France, represented by experts (collection managers, scientists, plant breeders, etc.) who participate in working groups organised by species or theme. These working groups have notably worked on devising common descriptions (passport data and characterisations) and developing European crop databases. The French Coordination Structure represents France within the ECPGR. - Participating as members of crop and thematic working groups. ECoHisPy: Building and promoting a European Pyrus collection – A case study. Forages 2020: ECPGR WG for Forages towards 2020s. HordeEva: identification and updating of C&E data in EBDB of AEGIS Hordeum. PRUNDOC: Identification of a representative set of Prunus domestica accessions of European origin, well documented and characterized, to be included into the AEGIS system. TRAID: Identification and update C&E data of AEGIS Triticum sp. Accessions. EU.CHERRY: Collaborative action for updating, documenting and communicating the cherry patrimonial richness in EU. EURISCO: EURISCO NFP regional training workshop for Western European region. ForageDataAccess: AEGIS progress and improved access to data on European Forage PGR. InWiGrape: Increasing the efficiency of conservation of wild grapevine genetic resources in Europe. CarrotDiverse: Improving the characterisation and conservation of umbellifer crop wild relatives in Europe. ECPGR Networking: Networking among Working Groups for discussing and coordinating the implementation of ECPGR objectives. GrapeOnFarm: On-farm inventory of minor grape varieties in the European Vitis Database. Pomefruit – C&E: Common ECPGR protocols and tools available for Characterisation & Evaluation of Malus/Pyrus genetic resources. TRISECA: Identification and updating data of eligible AEGIS accessions in both wheat and rye species. BETANET: Improving a cooperation network between actors involved in conservation and utilization of Beta genetic resources. Prunus Alignment: Testing, use and alignment of genetic data to distinguish unique and characterized accessions in Prunus. ImprovLoliumCol: Facilitating use on the European perennial ryegrass collection: improving access to genetic resources and C&E data. EURISCO is a database which includes just over half of ex situ plant collections maintained in Europe, based on national inventory data from its member countries. EURISCO is maintained by Leibniz Institut of Plant Genetics and Crop Plant Research (IPK). The French national inventory on EURISCO is currently being updated, with the addition of data of national collections conserved at INRA. This data will be updated gradually, as recognitions of national collections are sent by the Ministry of Agriculture. The European Genebank Integrated System (AEGIS) is a European collection which is currently being developed in Europe. This common system aims to reduce costs associated with PGRFA conservation, improve the characterisation and promotion of European collections, and facilitate exchanges and the implementation of the International Treaty on PGRFA. Selected accessions are maintained in the long-term by the participating countries in accordance with quality standards, and made available via the ITPGRFA. The accessions selected for this European collection can be consulted on the EURISCO website. The International Treaty on Plant Genetic Resources for Food and Agriculture was adopted by the Thirty-First Session of the Conference of the Food and Agriculture Organization of the UN in 2001. The ITPGRFA beings together 143 contracting parties including France and the European Union. Establish a multi-lateral system to facilitate access to PGRFA. Ensure the benefits of their use are shared among farmers, breeders and scientists, in line with the Convention on Biological Diversity. Ensure the sustainable use of these resources. Recognise the significant contribution of farmers to crop diversity. The Treaty covers all PGRFA, although the multi-lateral system only applies to the 64 species in Annex 1 of the Treaty. Since 2006, the use of a Standard Material Transfer Agreement (SMTA) is compulsory for research, breeding or training uses linked to food and agriculture. The SMTA must be declared to the Treaty secretariat via easy-sMTA. The ITPGRFA was signed by France on 6 June 2002 in Rome, and was published by decree (No. 2005-1374) on 28 October 2005. Articles L.660-1 to L.660-4 of the French “Rural development and marine fishing code” concern France’s definition for national collections which, for species cited in Annex 1 of the Treaty, ought to be added to the ITPGRFA multi-lateral system. The recognition criteria for these collections and their managers are specified in the context of the work undertaken by the PGR CTPS Section. At this date, seven national collections have been placed in the ITPGRFA multi-lateral system: aubergine, fodder, maize, oat, potato, triticale and bread wheat. To support public and private researchers in understanding Access and Benefit Sharing (ABS) and its implementation, the Foundation for Research on Biodiversity has created a step-by step ABS guide (French version only). The CBD was adopted at the 1992 Rio Earth Summit, the United Nations Conference on Sustainable Development. The agreement entered into force on 29 December 1993 and in 2017 has 196 parties including France and the European Union. The importance of traditional knowledge. The CBD was signed by France on 13 June 1992 and published by decree (No. 95-140) on 6 February 1995. The Nagoya Protocol was adopted on 29 October at the 10th Meeting of the Conference of the parties (COP 10). It entered into force on 12 October 2014. In 2017, it has 93 parties including France and the European Union. The Nagoya Protocol provides a transparent legal framework for the effective implementation of one of the objectives defined in the CBD: the fair and equitable sharing of benefits arising out of the utilisation of genetic resources. It applies to all genetic resources and associated traditional knowledge that are covered by the CBD. Procedures for Access and Benefit-sharing in the framework of the Protocol are defined by the supplying country of the genetic resource. Information on the regulations in force are available on the ABS Clearing House website. EU regulation No. 511/2014 imposes several obligations on users of genetic material in the European Union under the Nagoya Protocol, and the fair and equitable sharing of benefits arising out of the use of these resources. A register of collections (EU Regulation No. 2015/1866) whereby users have exercised due diligence is currently being put together. Users accessing genetic resources through these collections will have respected the access and benefit-sharing measures as set out by the Nagoya Protocol. The European Commission has published a Guidance Document on the scope of application of regulation No 511/2014 . In France the Protocol was introduced into national legislation with the adoption of the Act on Nature and Landscape Protection (Articles L.412-3 to L.412-20 of the Environment Code) on 8 August 2016. The Nagoya Protocol was signed by France on 20 September 2011 and published by decree No. 2016-1615 on 21 November 2016. The Act of 8 August 2016 provides for an order for accessing cultivates plant genetic resources and their wild crop relatives. This order is currently being prepared.